Add some excitement to Easter day with a brand new version of the classic egg hunt. Instead of simply playing hide and seek with the eggs, try a guided family scavenger hunt. It will give your child a chance to practise following directions (every parent's dream! ), problem solve, and build critical thinking skills. 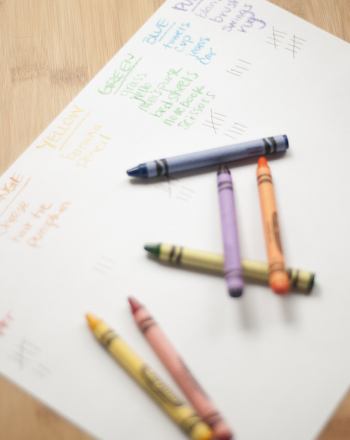 Design the scavenger hunt as a family, or ask older siblings to prepare one for their younger brothers and sisters. This hunt employs words, drawings, photographs, and more to create clues that will take your child around the house or outside into the family yard. 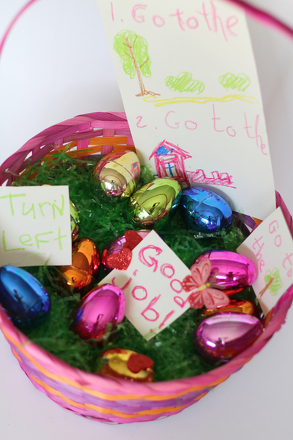 Make a map that lists the steps to finding each egg, and then help your little one to search for her Easter prizes! Prepare for the Easter egg scavenger hunt by coming up with sneaky hiding spots. The hunt may occur inside or out, depending on the weather. You will need to decide on the setting first, in order to create the clues. If you are using plastic eggs you may hide them beforehand. For real (hard-boiled) Easter eggs, wait until just before the hunt is to begin. 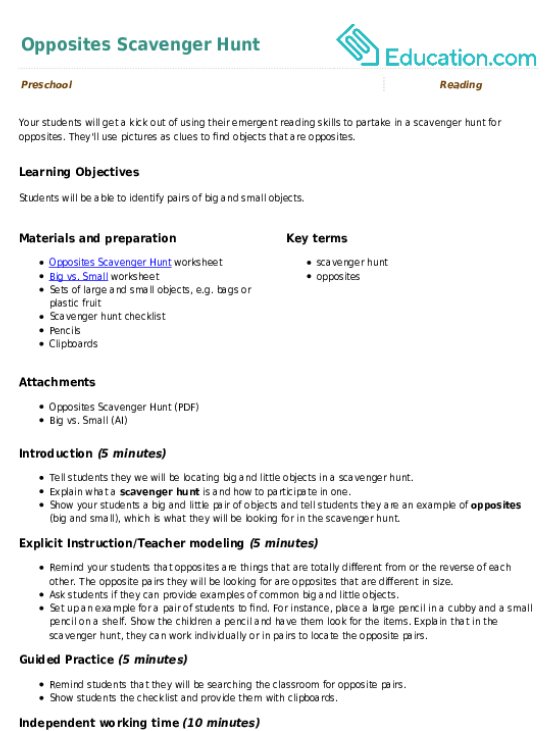 Create a simple map of the scavenger hunt area. Encourage your child to help with the map (without knowing the exact hiding places). Use a large sheet of construction paper and markers to draw specific landmarks such as a swing set, tree, or furniture. After your child has drawn the map of your house or yard, draw arrows for directions to follow and number the hiding areas. For example, if the first egg is hidden behind the shed, write a "1" there. Next, place an arrow in the direction that she should travel in order to find the next prize. Create clues. Draw pictures of various household landmarks or take photographs of the hiding places. Number these in order on the back. If you have several children, make a whole bunch of different clues. Let the scavenger hunt begin! Give her the map and show her the first clue. She should take her Easter basket to the starting point and begin the hunt. She will go from clue to clue, collecting eggs at each hiding place. End the hunt with a fun surprise, such as a chocolate egg or special toy prize. 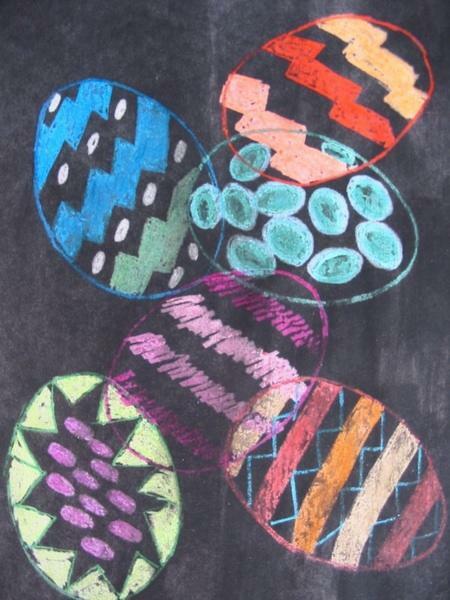 Add an Easter day twist by asking your child to create an egg scavenger hunt just for you! After she has finished her own hunt, have her set up a new one that you can try. Encourage her to draw another map and create new clues. Celebrate Easter with your preschooler! She will enjoy adding colour to this scene of a child coloring Easter eggs in preparation for the big egg hunt. 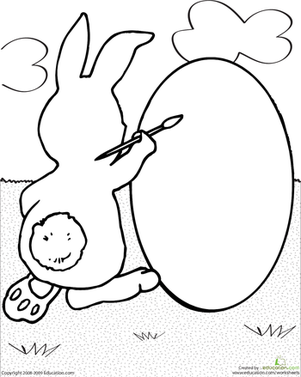 In this coloring page, the Easter Bunny is painting an egg, and your child needs to help him add colour and patterns to the blank egg.